EAMTI Silver Wedding Engagement Eternity Ring (7) | What Should I Say? Blowout Sale! 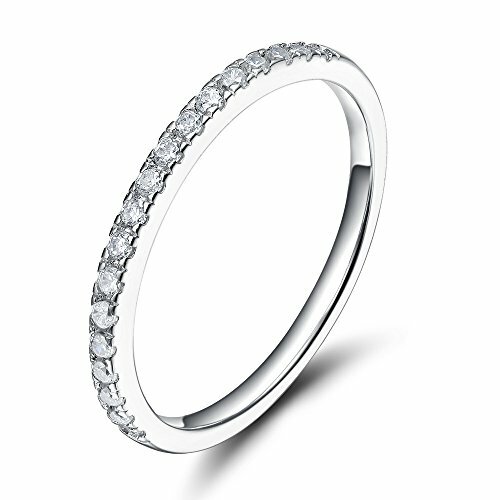 Save 51% on the EAMTI Silver Wedding Engagement Eternity Ring (7) by EAMTI at What Should I Say?. MPN: YJZ15012S. Hurry! Limited time offer. Offer valid only while supplies last. 925 Sterling Silver Wedding Band Cubic Zirconia Stackable Eternity Engagement RingAdd this elegant band to any engagement ring to add some shine.